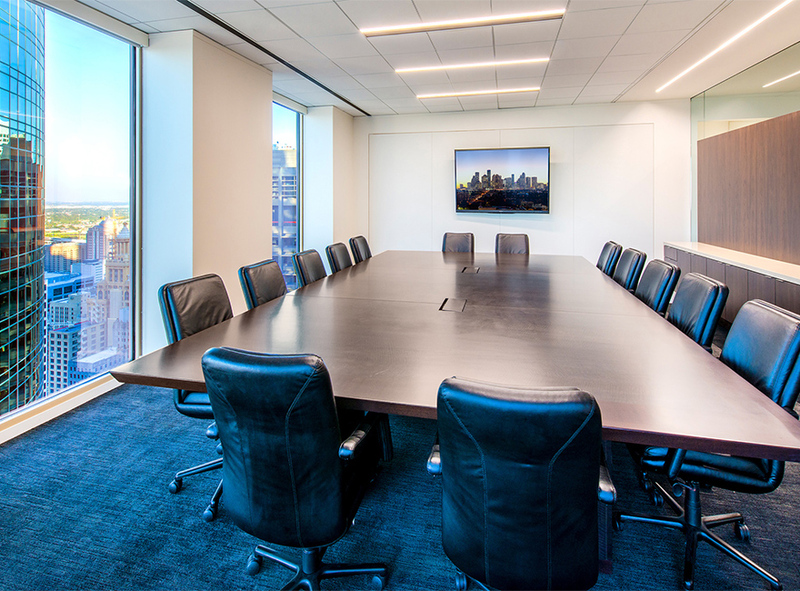 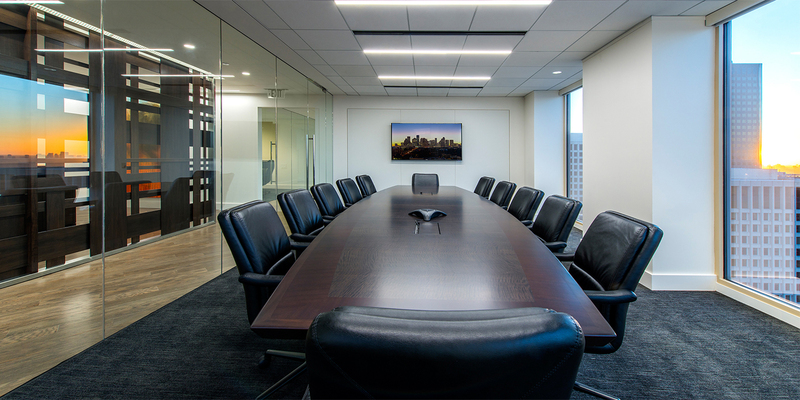 Reynolds Frizzell, a growing law firm in downtown Houston, took advantage of their recent expansion to reinvent their space and the firm. 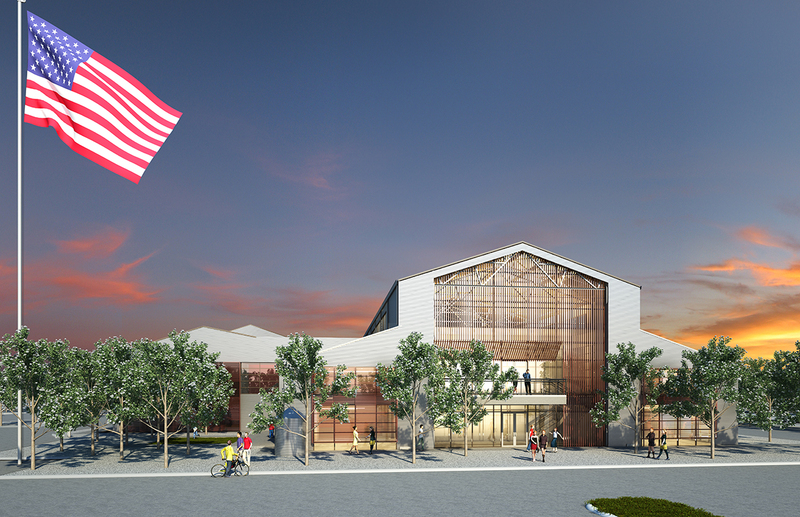 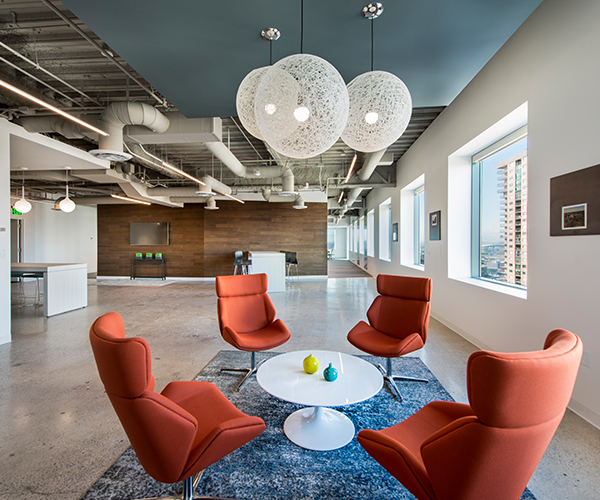 The firm leased their existing, more traditionally styled space, as-is at the firm’s inception. 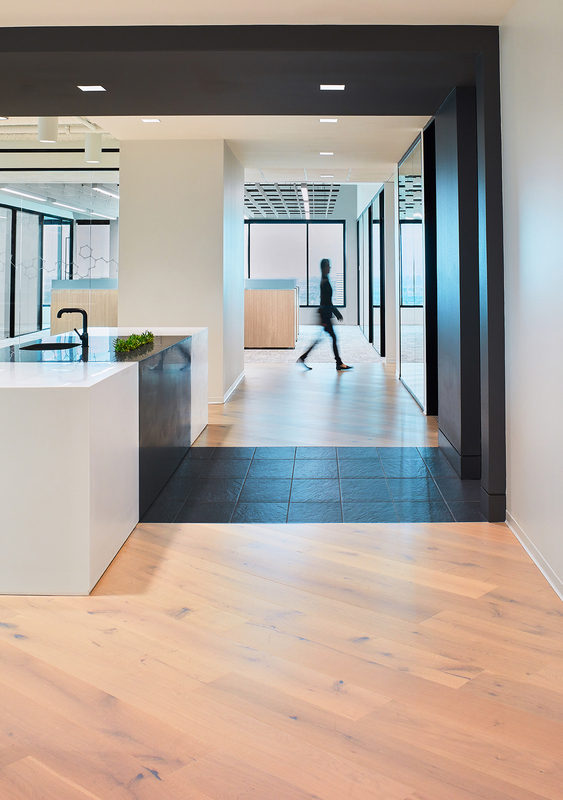 Wood paneling, black stone and heavy draperies obscured the downtown views. 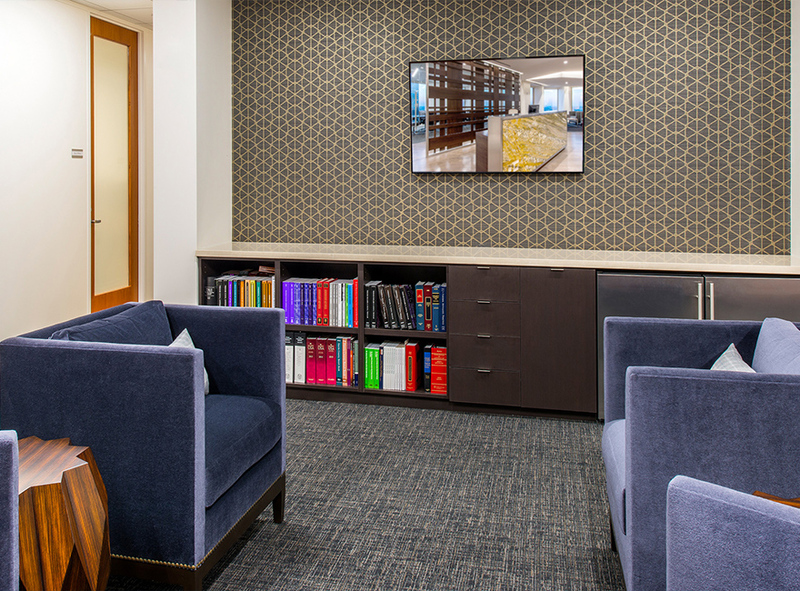 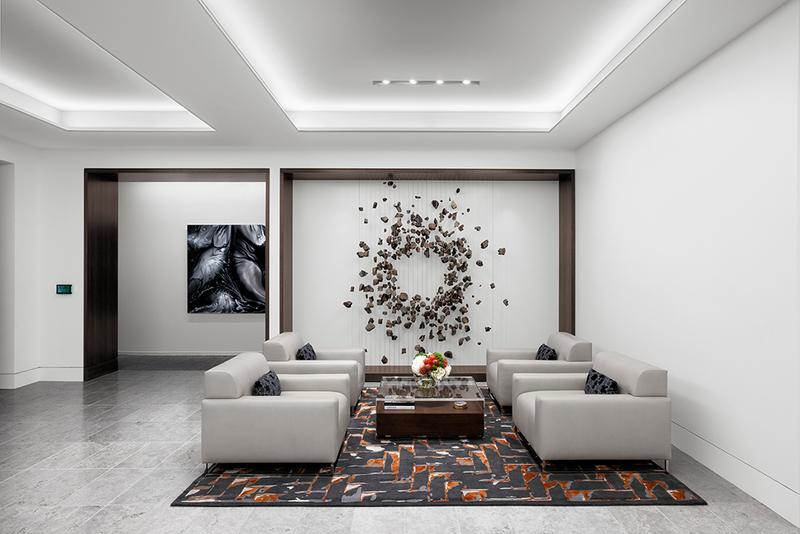 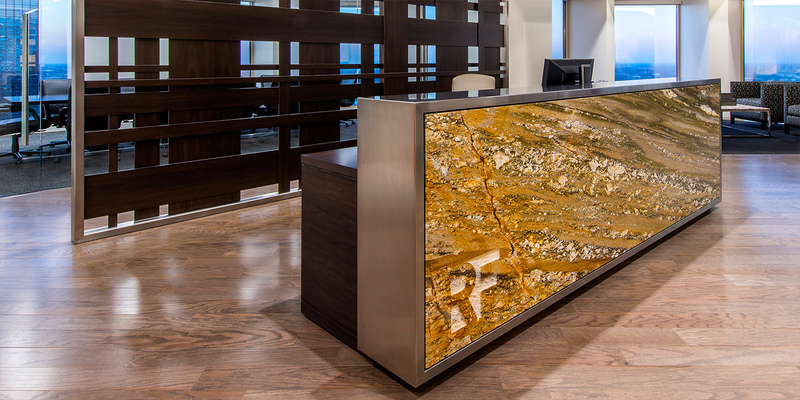 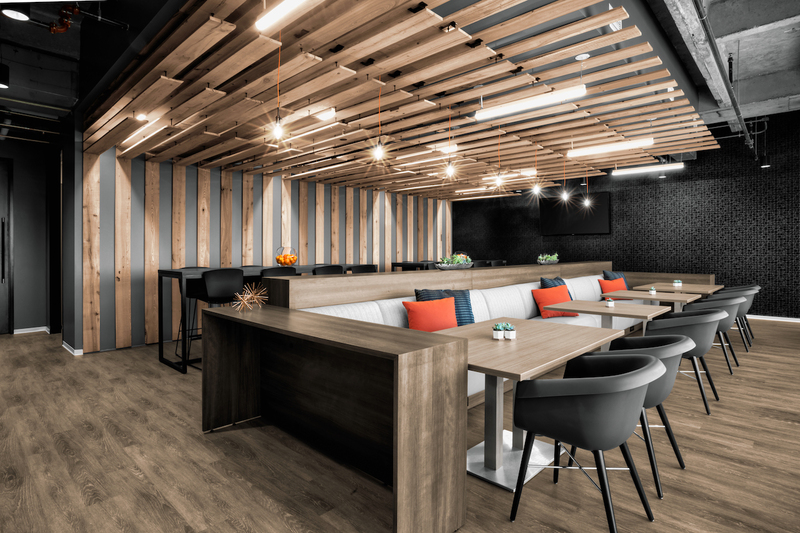 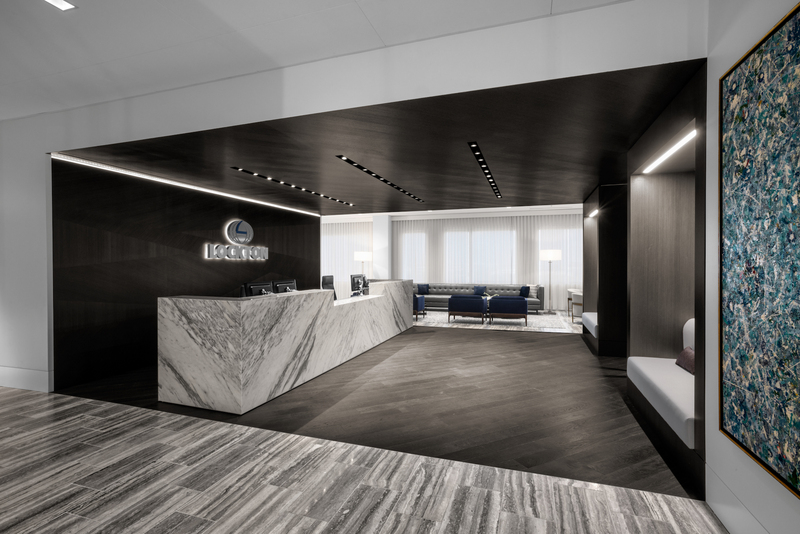 Abel Design Group redesigned the reception and conference area to highlight their prime downtown views and take the law office from traditional to modern.